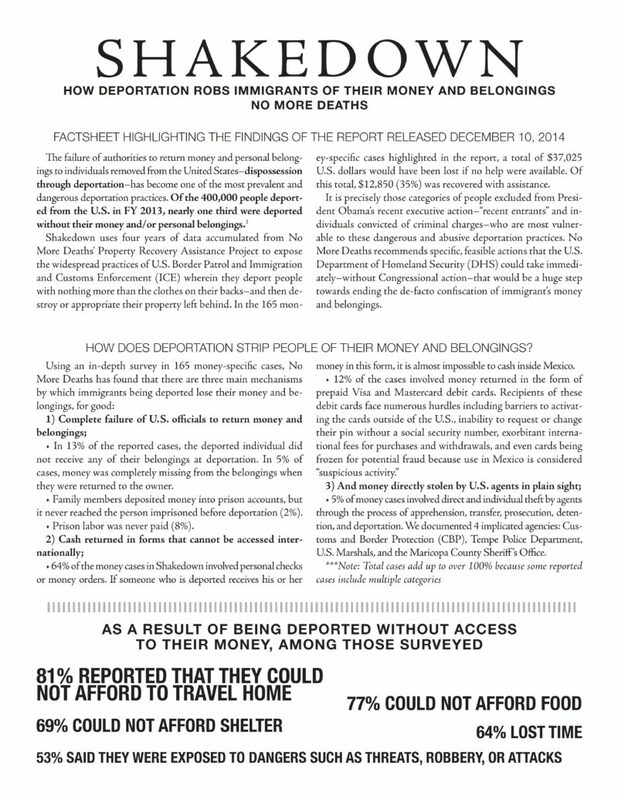 The failure of authorities to return money and personal belongings to individuals removed from the United States—dispossession through deportation—is a dangerous deportation practice, among the most prevalent and least known. Of the 400,000 people deported from the US in FY 2013, nearly one third were deported without their money and/or personal belongings. 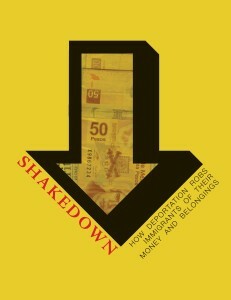 Shakedown uses four years of data accumulated from No More Deaths’s Property Recovery Assistance Project to expose the widespread practices of the US Border Patrol and Immigration and Customs Enforcement wherein they deport people with nothing more than the clothes on their backs—and then destroy or appropriate their property left behind. In the 165 money-specific cases highlighted in the report, a total of $37,025 US dollars would have been lost if no help were available. Of this total, $12,850 (35%) was recovered with assistance. 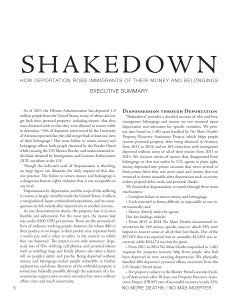 Shakedown exposes exactly how and why deportation strips people of their belongings and reports on the terrible consequences for immigrants deported without their money, IDs, cell phones, and other belongings. No More Deaths recommends specific, feasible actions that the US Department of Homeland Security could take immediately—without Congressional action—that would be a huge step towards ending the de facto confiscation of immigrants’ money and belongings. You can read and download the full report, or just the executive summary, or the fact sheet. To purchase hard copies of the report, please visit the Peace Supplies web store. Shakedown reports on newly exposed abuse and we aim to share this information broadly.